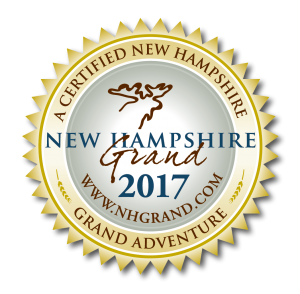 We offer year-round, family-friendly dog sledding adventures from our kennel in Jefferson, NH. All of our dog sledding experiences are designed to be hands on to the comfort level of the guest. Participants ages 2 and up are given the opportunity to meet and greet our sled dogs (we are currently home to just over 80, many of which are rescue and second chance), help harness and hitch their team and even help drive the sled (at musher discretion for guests and dog safety)! The rolling dog sleds in our fleet have been specially designed for comfort and safety. The rolling sleds operate similar to that of a traditional sled: a musher drives from the back, guests sit in the cart and the sleds dogs lineup in the front.